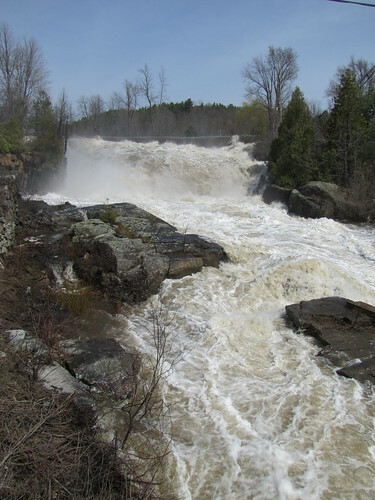 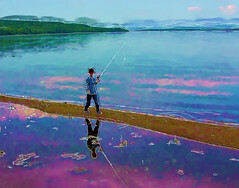 In the Adirondacks, the spring of 2011 has come late, saving up spring runoff until April. 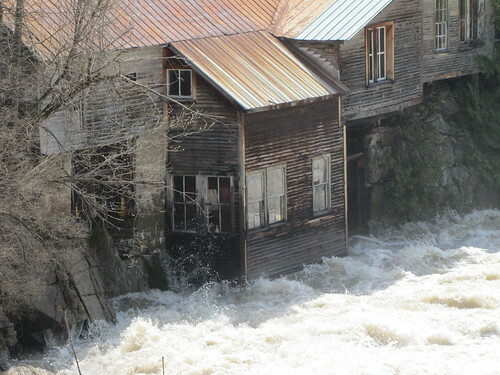 In late April, a large rainstorm dropped a huge amount of water in a short time into already overflowing streams and rivers. 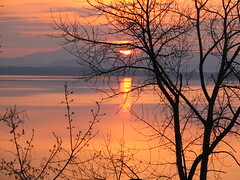 There was still ice on Lake Champlain as late as April 13th and snow remained on low altitude hiking trails for at least a week after that. 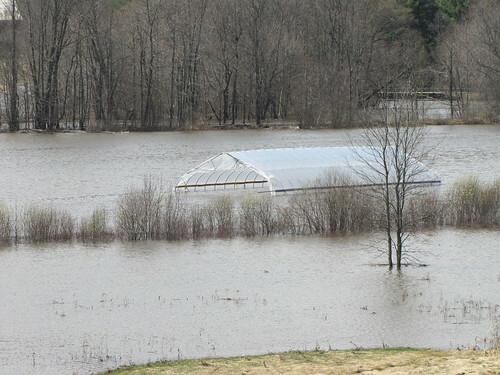 According to the USGS, Lake Champlain entered flood stage in mid-April. 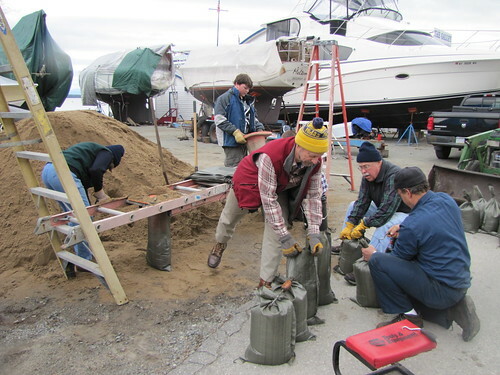 On April 18th, and for a few days after, volunteers made sandbags to help protect the Westport Marina from flooding. 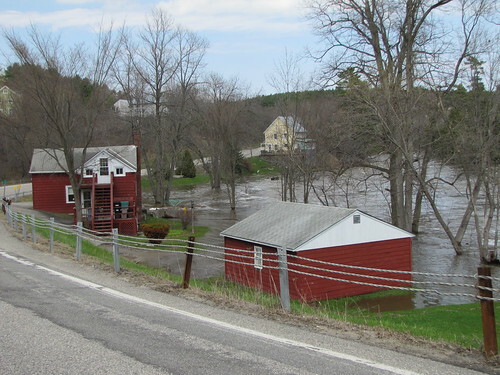 In the last few days of April, the waters rose quickly, surpassing the maximum lake heights from 1993 and then the 1869 record lake height in rapid succession. 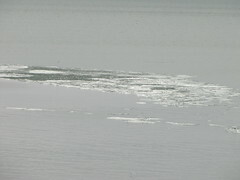 The lake level has been above 1869 level for about the past two weeks. 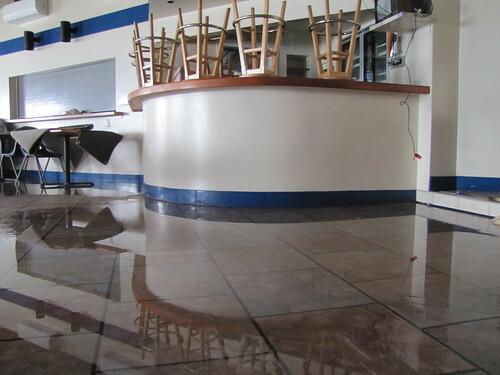 As rivers and streams returned to normal levels, the lake level spiked, flooding the Westport Marina and other waterfront structures. 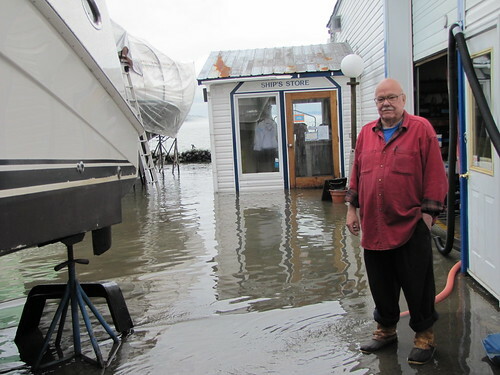 Here is the Westport Marina on April 28th.